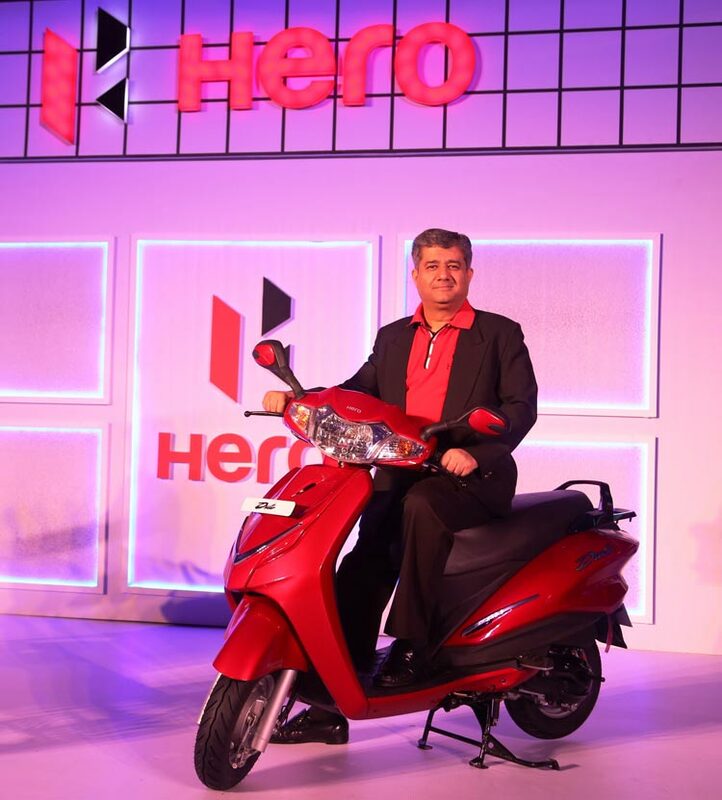 In a launch event in Bangalore, Hero MotoCorp, India’s largest 2-wheeler manufacturer, launched the new 110cc motorcycle Hero ‘Duet’. The new metal body scooter Duet has been priced at INR 48,400 INR (Ex-showroom Bengaluru). Talking about the specifications of the bike, Hero Duet is powered by 110cc air-cooled, 4-stroke single cylinder OHC engine that produces a maximum power of 8.31 BHP @ 8000 RPM and delivers a maximum torque of 8.3 Nm at 6500 RPM. Hero Duet offers a mileage of 63.8 Kms per litre. The Hero Duet comes with a metal body that makes it very sturdy and durable. The Integrated Braking System – a two-wheeler technology developed and patented by HMCL – coupled with Telescopic Front Suspension offers riding comfort and improved stability. There are other important utility features like external fuel filling and boot-light in the glove box . Hero Duet is available in two versions – VX and LX. Being the world’s largest two-wheeler manufacturer, we are well attuned to the needs and preferences of our customers. Our new products, the Maestro Edge and Duet have thus been developed keeping in mind the rising aspirations of our customers. Both the scooters are loaded with style, safety and convenience features while embodying the core values of brand Hero. The Southern region is a key market for us and we are confident that the scooters will instantly appeal to the customers. In-fact the Maestro Edge has received a tremendous response since its launch and we expect the Duet to continue this trend. Hero Maestro Edge was also also unveiled during the event.